A lighting apparatus for use with a skateboard includes a light housing having top, bottom, and side walls defining an interior space. A fastener on the housing top wall is selectively attached to a lower surface of the skateboard. A plurality of lights is positioned in the light housing. A battery is also positioned in the light housing and electrically connected to the plurality of lights. The light housing wide walls are configured so that light from the plurality of lights is visible outside the light housing when the plurality of lights is energized. 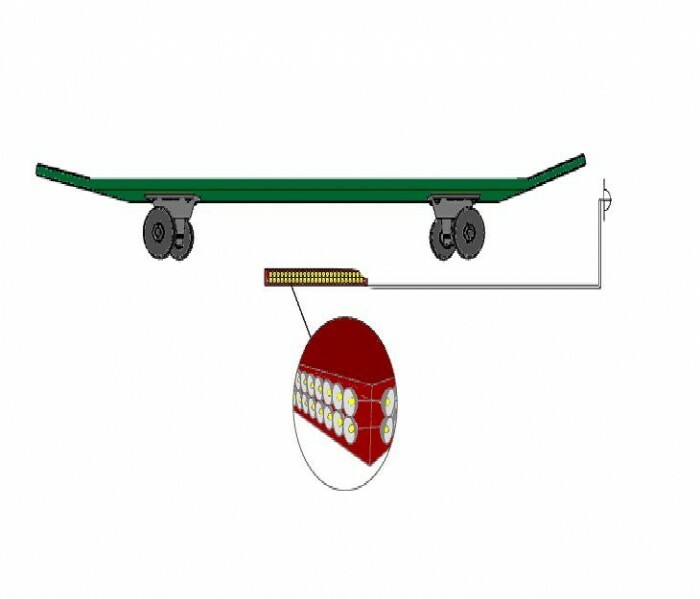 An extension structure may be connected to the light housing that extends away beyond one of the front and rear end of the skateboard. An entertainment device, such as a pinwheel is coupled to a free end of the extension structure. My goal is to license this invention for royalties. It has not been marketed yet. The market potential encompasses the entire skateboard industry. 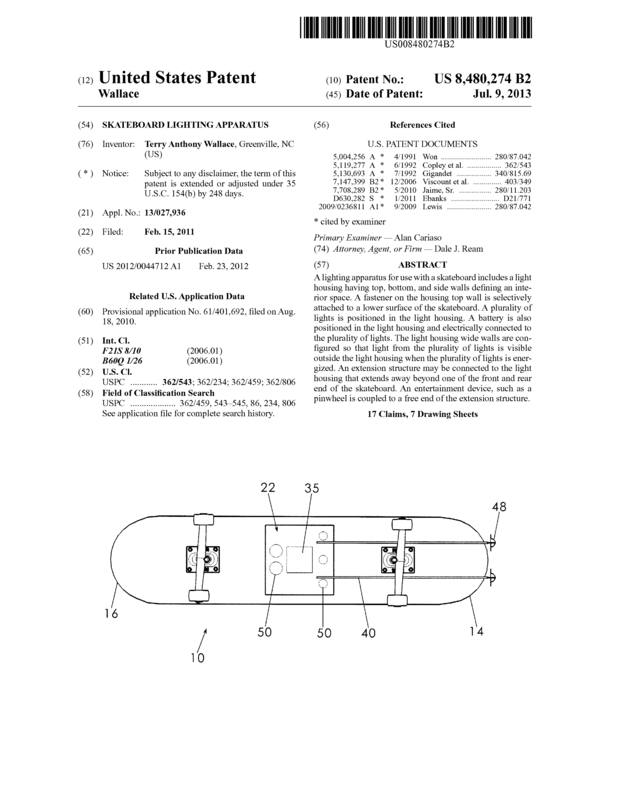 Page created at 2019-04-22 14:25:21, Patent Auction Time.